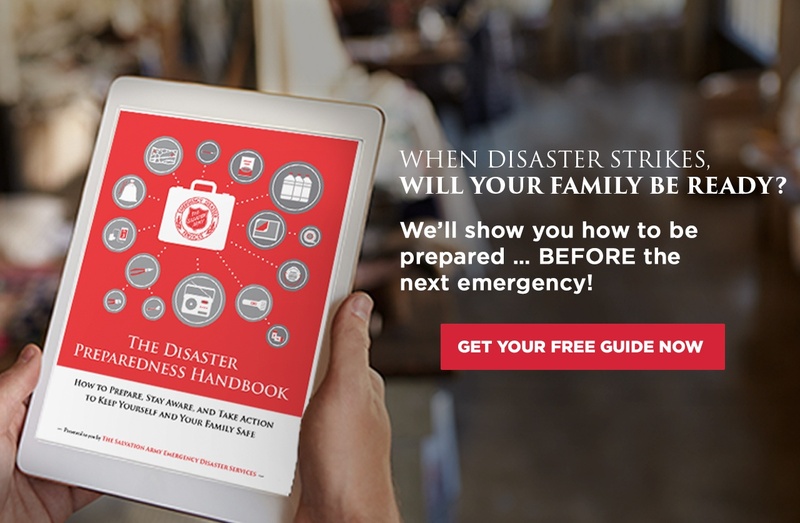 The Salvation Army's disaster response teams' preparedness includes continual disaster training, updating of equipment, coordination and cooperation with federal, state, county and community emergency agencies and private agency groups. as well as contact with community resources. 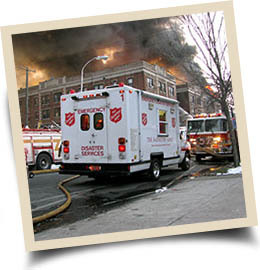 The Salvation Army's Emergency Disaster Services are composed of volunteers who help those of are affected by events beyond control. Fires, floods, severe weather and other disasters happen in our community, and our team makes the effort to support everyone involved--victims, survivors, and first responders. We are seeking volunteers to assist us in the field. We welcome all skills and backgrounds and provide training to all volunteers. The opportunities offered The Salvation Army's Emergency Disaster Services gives you the opportunity to provide assistance to the people most affected by an emergency. Most of all, through volunteering with EDS, you will gain useful knowledge of emergency situations. Feeding: You may assist in distributing and/or preparing food and drinks for first responders and survivors of emergency situations. Empathizing: Volunteers lend a sympathetic ear to those involved in a disaster. Major Disasters: In some cases, doctors, nurses and other paraprofessionals may serve at large-scale disasters locally, nationally or internationally. Celebrating: You might enjoy providing support for community events like fairs, parades and celebrations.